Armenia's new prime minister, Nikol Pashinian, is going after corrupt former officials. 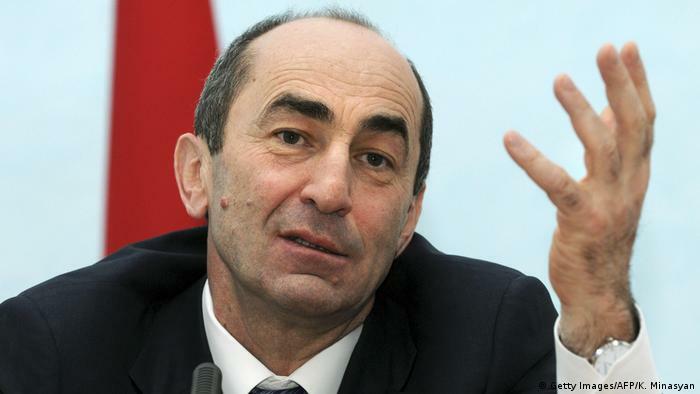 The latest casualty in the campaign is ex-President Robert Kocharian. Former Armenian President Robert Kocharian was arrested late Friday on charges of "overthrowing the constitutional order" during events surrounding an election a decade ago. On Thursday, the ex-president said in a television interview that the charges were "completely falsified" and politically motivated. The anti-corruption drive has led to criminal charges or investigations into figures in Sarkisian's formerly ruling Republican party, including ex-army generals, customs officers and several other senior officials.